When the Mac mini was introduced in 2005, at Computer Answers we knew that we had a whole new kind of computer to take apart and understand. Essentially a 7.7 inch square and 1.4 inch tall box, the Mac mini is essentially a portable hard drive that can be used as a computer. Of course, you know all that because you use your Mac mini for its portability. 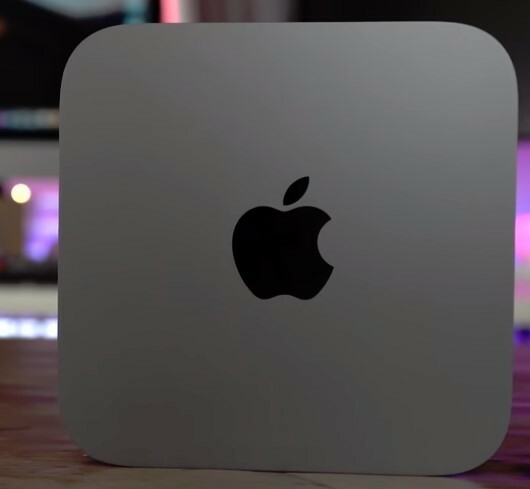 Whether you are a busy traveler who needs more computing power than a laptop can offer, or a student who needs something small enough to drop in a backpack, that Mac mini is a vital component of your life. Your business may even be using the Mac mini as its server. No matter what the specifics are, when that Mac mini is damaged or in need of an upgrade, you need it to be diagnosed and brought up to speed quickly and correctly. Why Choose Us For Your Mac Mini Repair? Because we have serviced the hardware and programming of Mac mini since its first introduction, Computer Answers has the experience and the expertise to diagnose its problem accurately, and get it repaired and back to you quicker than anyone else. Most problems can even be fixed in the time it takes for you to have a cup of coffee after dropping off your Mac mini at one of our five locations in Albany, Schenectady or Brooklyn. If you can’t bring your computer, we can either arrange safe and secure shipping or even send one of our technicians to your home or office. In that case, let us know in general or specific terms what the problem seems to be. We don’t expect you to be an expert – that’s our job. We want you to resume using your Mac mini for all the things it does in your life. At the bottom of this page you’ll see some general categories as to common problems Mac minis have had in the past. We know them well and we have successfully fixed them. If you can tell us generally what the problem is or what the symptoms are, that will be a great help. And if you just don’t know, that’s okay too. We offer a free Diagnostic service. So either call us Toll Free at 866-488-2806 or use our Contact Form. Either way, you’ll soon be talking with a Computer Answers pro who knows what to do get your Mac mini – and most importantly your use of it – back in great running order. If you notice any strange behavior from your Mac mini, that can be a sign of a minor or major hardware or software issue. No matter what the reason is, it makes sense to have the issue resolved before it becomes something that threatens the important data and files contained in the Mac mini’s hard drive. At Computer Answers we offer a free Mac mini diagnostic service, so we can let you know what the problem is and just what your Mac mini needs to be healthy again. If your Mac mini is running slowly, if you are seeing far too much of that spinning pinwheel, your Mac mini may need to have its RAM memory upgraded or replaced. If yoi come to us thinking you might need more memory, you can feel secure in the knowledge that at Computer Answers we won’t sell you something you don’t need. Because we run our complete, yet time-efficient, free diagnostics we’ll be able to tell you if it is a change of RAM you require, or perhaps just a simple software adjustment. Every machine ever built has its weakness and for the MacBook Pro that weakness can be its battery. The batteries have been known to weaken after as few as 200 charges. If you have noticed that the life of a fully charged battery has begun to drop, it could be that the battery needs replacing. Computer Answers will diagnose for free the problem first. It is possible that there are background programs running which are draining the battery. However, if your MacBook Pro does require a replacement, be assured that we will have the correct battery available at any of our locations so you can be back to work within minutes. Sometimes ports on macs can get broken, and sometimes that one little port is the one thing separating you from getting your work done, and a peaceful nights sleep. At Computer Answers we get it. Whether it’s your headphone jack, USB port, or the Power Supply Port, we’ll diagnose the problem for free and get you back up and running in no time. In an extreme situation your Mac mini may become so damaged that it simply cannot be fixed. Vandalism or a house fire could be the cause, or perhaps a car accident, but the cause itself is not important. What is important is recovering the weeks or even years’ worth of important files contained on your computer’s hard drive. When Computer Answers performs a Free Diagnostic assessment, we will take a close look at your hard drive and give you an honest estimate as to how much of the data is recoverable and at what cost. You can trust that if it can be saved, Computer Answers will save that data and we will move it to a new hard drive for you. Visit Us At Any One of Our 5 Convenient Locations In New York Including Williamsburg, Brooklyn, Albany, Clifton Park, and Schenectady.